Interested in a particular watch? Do you need advice? Year in Bond’s service: 2015. Recommended sellers with more than 90% approval rating: Perfect Timing, WatchMaxx, & Watchsavings. Bond movies: Skyfall (2012) & Spectre (2015). Years in Bond’s service: 2012 – 2015. Recommended sellers with more than 90% approval rating: ChronoStore, HKwatch Japan, Perfect Timing, WatchMaxx, & Watchsavings. Bond movies: Casino Royale (2006), Quantum of Solace (2008) & Skyfall (2012). Years in Bond’s service: 2006 – 2012. Recommended sellers with more than 90% approval rating: ChronoStore, HKwatch Japan, WatchMaxx, & Watchsavings. Bond actors: Pierce Brosnan and Daniel Craig. Bond movies: GoldenEye (1995), Tomorrow Never Dies (1997), The World Is Not Enough (1999), Die Another Day (2002) & Casino Royale (2006). Years in Bond’s service: 1995 – 2006. A Youtube tribute to James Bond’s Omega Seamaster Professional. 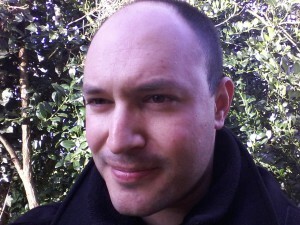 The video compilation is the property of Imran Becks. Recommended sellers with more than 90% approval rating: ChronoStore, HKwatch Japan, InterWatches, Perfect Timing, WatchMaxx, & Watchsavings. Bond actors: Sean Connery, George Lazenby, Roger Moore and Timothy Dalton. Bond movies: Dr. No (1962), From Russia With Love (1963), Goldfinger (1964), Thunderball (1965), On Her Majesty’s Secret Service (1969), Live And Let Die (1973), The Man With The Golden Gun (1974) & Licence To Kill (1989). Years in Bond’s service: 1962-1965, 1969, 1973-1974 & 1989. Recommended sellers with more than 90% approval rating: AVI AND CO NY & GoldWatchCo. Sean Connery as Ian Fleming’s James Bond. The name is Bond….James Bond. The world’s most beloved and famous fictional secret agent James Bond 007 needs no introduction. He has captivated the imagination of moviegoers for over 50 years and has left audiences all over the world both shaken and stirred. Many wristwatch brands have adorned James Bond’s wrist, but for more than 50 years, Rolex and Omega have been his most frequently used luxury watch brands. Below: the famous Rolex Submariner. 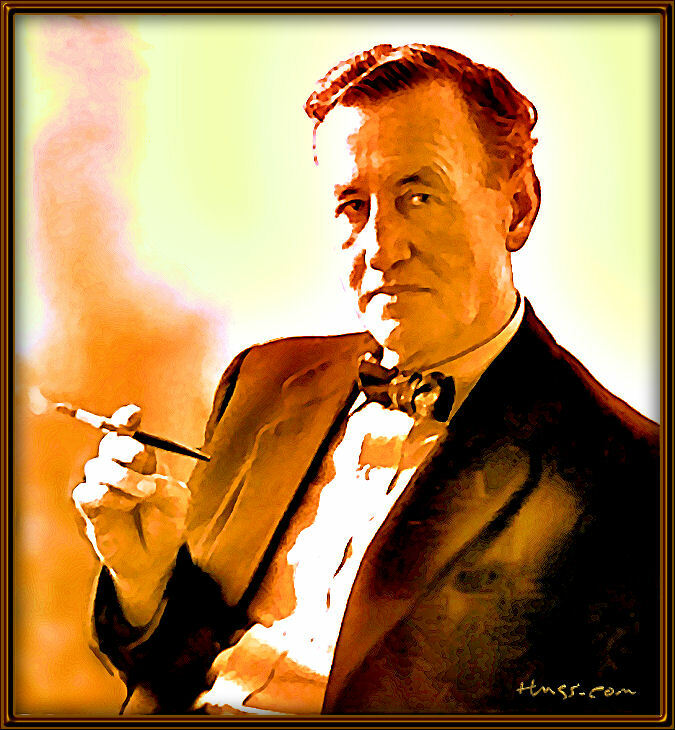 Ian Fleming – the creator of James Bond. Much of Bond’s character is based on Ian Fleming himself, who in fact was a secret agent and Naval Officer during WW2. As a result of WW2, the proud British nation’s role in the world was reduced, the empire was crumbling, and the emergence of the Cold War rivalry between USA and USSR made the British empire less relevant than ever. To counter this sense of loss, and to maintain Britain’s sense of importance on the international stage, Ian Fleming created undoubtedly the most famous fictional secret superspy to have ever graced the world – James Bond. Ian Fleming was very detailed in his description of his superspy. 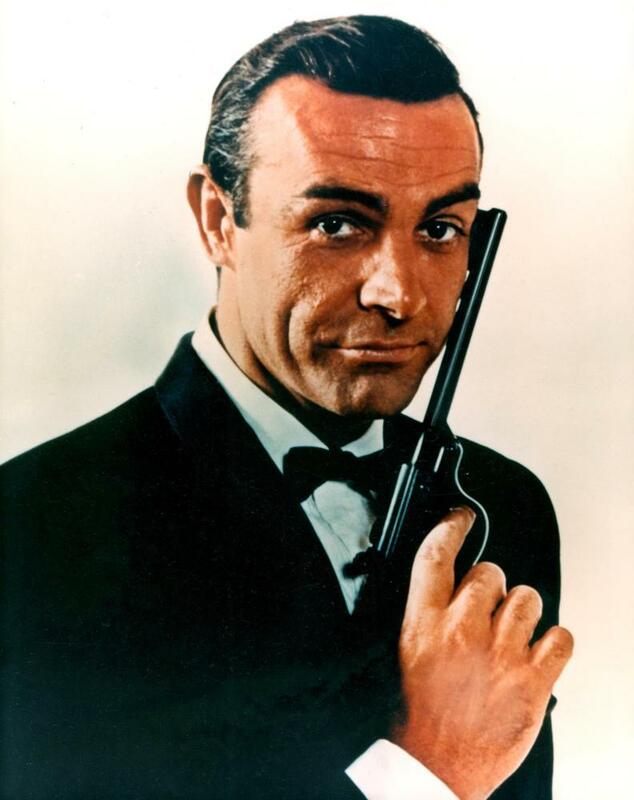 The description of the character ranged from Mr Bond’s personality, physical appearance, educational background, skills, ethnicity, and personal quirks, to his material preferences and taste in food and alcohol. In the Ian Fleming books, Bond was driving a Bentley, he wore a Beretta gun, and he wore a Rolex Oyster Perpetual. Mr Fleming himself was wearing a Rolex Explorer but he did not explicitly state in the books that Bond was wearing a Rolex Explorer – merely a Rolex Oyster Perpetual. 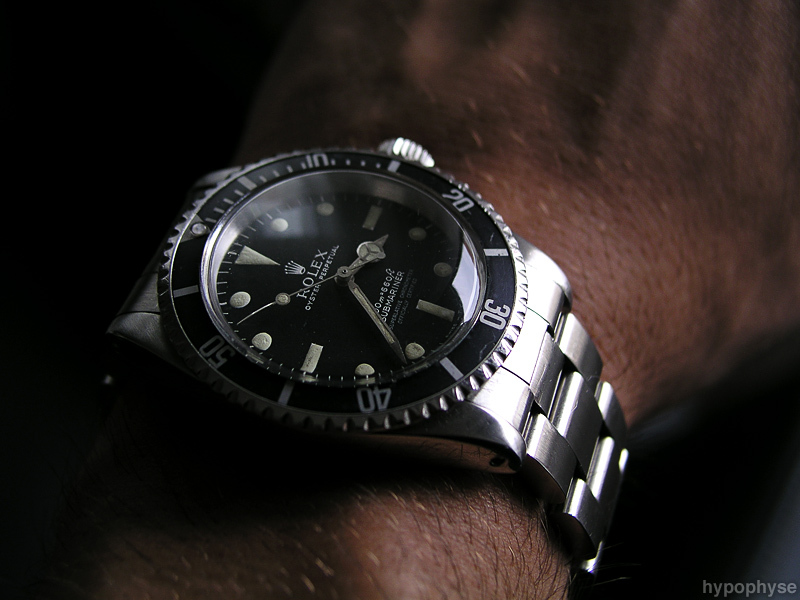 The Rolex Submariner was never explicitly mentioned in the books. So how did the Rolex Submariner become the cinematic James Bond’s first wristwatch? The Rolex company wouldn’t lend Sean Connery – the first Bond actor, a Rolex watch for the first Bond Movie Dr. No (in 1962) so Bond producer Albert “Cubby” Broccoli lended his personal Rolex Submariner to Sean Connery, and that’s really how the James Bond – Rolex Submariner love affair started. What watches did the Bond actors actually wear from Dr. No in 1962 until Spectre in 2015? Sean Connery wore a Rolex Submariner (Ref. Nr. 6538) in Dr. No (1962), From Russia With Love (1963), Goldfinger (1964) and Thunderball (1965). He basically wore a Rolex Submariner in all his movies except for You Only Live Twice (1967) and Diamonds Are Forever (1971). Breitling was used by Sean Connery in Thunderball – at least in parts of the film. George Lazenby was wearing a Rolex Daytona and a Rolex Submariner (Ref. Nr. 6538 – just like Sean Connery) in On Her Majesty’s Secret Service (1969). Roger Moore was wearing a Rolex Submariner (Ref. Nr. 5513) in Live And Let Die (1973), and The Man With The Golden Gun (1974). Roger Moore’s Rolex Submariner is slightly more refined than Sean Connery’s since Moore’s version is equipped with a crown protector. In the 1970s, the luxury watch industry was heading for the quartz crisis (or quartz revolution – depending on how you see it) and that’s why the Bond franchise, and the Bond actor himself – Roger Moore, opted for a digital battery driven Seiko in 1977, and he was wearing several models and variations of Seikos from The Spy Who Loved Me (1977) until A View To A Kill (1985). Timothy Dalton took Bond back to his roots in the 1980s, and opted for respected Swiss pedigrees. Dalton was wearing a TAG Heuer in The Living Daylights (1987), and a Rolex Submariner (Ref. Nr. 16610) in Licence To Kill (1989). Interestingly this was the first Rolex Submariner Date worn by a Bond actor. All the previous Rolex Submariners were in fact the no-date version. Pierce Brosnan started the tradition of wearing the iconic Omega Seamaster Professional in GoldenEye (1995) and onwards. Omega has been the official luxury watch supplier for the Bond franchise ever since. Omega as a brand was hit hard by the quartz crisis (or quartz revolution) in the 1970s, and Rolex, the main nemesis of Omega, has consistently outperformed Omega on the luxury watch market ever since. It was in the 1980s that Rolex got its legendary iconic bigger-than-life image. Omega needed to make a comeback in the 1990s and being associated with the Bond franchise was a step in the right direction. It’s a matter of fact, it was the Bond franchise that picked Omega and not vice versa. Today, Omega makes no qualms about being 007’s watch brand of choice. Daniel Craig stepped into Bond’s shoes in 2006 and wore an Omega Seamaster Professional in Casino Royale (2006), and several iterations and models of the Omega Seamaster Planet Ocean and the Omega Seamaster Aqua Terra. In his latest film – Spectre (2015), Daniel Craig was wearing an Omega Seamaster 300 Master Co-Axial. If you have any questions and comments, please post them below and I’ll be happy to answer them. Hello Alexander. I recently discovered your blog and I really like it. I know this is a classic question but which of the two is the “better” watch: the Omega Seamaster Professional or the Rolex Submariner? I’d greatly appreciate your opinion. Hello Sergio and a very warm welcome to swissdiverswatches.com. I’m delighted to hear that you like the blog. From personal experience, I know that it’s very tempting to mix up one’s personal feelings for the aesthetics, the design and the “feel” of the watch, with objective technical information on the watch. I’ll try to be as objective as I can. If you’re comparing specifically the Omega SMP to the Rolex Submariner I have to say that I would give a slight edge to the Submariner. The Rolex 904 L Stainless steel is the best steel in the industry – definitely better than 316 L used by Omega. The Rolex Submariner’s build quality is superior to the Omega SMP. The bezel on the Submariner feels more solid, smooth and accurate, the bracelet on the Submariner and indeed the clasp on the Submariner feels a lot more solid than the Omega SMP. As far as movements are concerned, the Rolex Submariner movements 3130 (no date) and 3135 (date) are fully anti-magnetic while the Omega Co-Axial 2500 is not. The 3135 has a slightly larger power reserve and has a more robust build than the Omega Co-Axial 2500. As far as accuracy of the movement is concerned, I believe the Omega SMP Co-Axial 2500 movement is pretty much on par with the the Rolex 3130 and 3135 movements. So, taken as a whole, as a reliable, practical performance machine, I’d give the edge to the Rolex Submariner. Hey Alex. I’m thinking of buying an Omega Seamaster, but I have a hard time choosing between the Seamaster Professional and the Planet Ocean. What’s the main difference between the Omega 8500 movement and the older Omega 2500 movement? And which watch do you think is aesthetically more appealing? Hello Tom and a very warm welcome to swissdiverswatches.com. The Omega Co-Axial 2500 movement, is based on ETA 2892-A2, and has 27 jewels, 25,200 vph, and a 48 hour power reserve. The Omega Co-Axial in-house automatic movement 8500, has 39 jewels, 25,200 vph, and a 60 hour power reserve. The 8500 movement also has a silicon based hairspring which is entirely anti-magnetic. Theoretically and on paper, the 8500 movement is “better” but in actual life, the actual difference in accuracy performance between the newer 8500 and the older 2500 is negligible. In terms of design and looks, the Omega Seamaster Professional has always been my favorite Seamaster, but that’s just my personal opinion which you can take with a grain of salt. What’s important is what you think since you’re the one spending your hard earned money on a luxury watch. Pick the watch that you love irrespective of the technical specs. Go with the watch that sings to your heart. Hello there. I love the Bond Omega watches from the 1990s but I know that they are no longer in production. What’s the difference between the modern Omega Seamaster Professional and the old ones worn by Brosnan in the 1990s? Which models would you recommend? Would you recommend the “real” Bond Seamaster Professionals of the 90s or the modern ones? A warm welcome Daniel to swissdiverswatches.com. (1) The original Omega Seamaster Professionals didn’t have the Co-Axial 2500 movement. The modern versions do. (2) The original Omega Seamaster Professional had a characteristic blue (and sometimes black) wave dial. The modern versions have either dark blue or black glossy lacquer dials. (3) The original Omega Seamaster Professional’s bezel was made of metal, and prone to color fading and scratches. The modern Omega Seamaster Professionals have ceramic bezels, which are considerably more scratch resistant, and definitely resistant to color fading. (4) The original Omega Seamaster Professionals had a lower case profile, or a thinner case. The modern Omega Seamaster Professional has a slightly thicker case or slightly higher case profile. (5) The original Omega Seamaster Professionals used pins for the bracelets. The modern Omega Seamaster Professionals use screws for their bracelets, which means the modern SMP bracelets are considerably sturdier, and considerably better built than the old SMP bracelets. I know that Bond fans prefer the old Seamasters but like you said they are out of production. You can buy old and worn “Bond Seamasters” of the 90s on ebay for example. Here you’ll find almost exclusively the modern ones. I’d personally pick the modern ones. They are close to the original but they are upgraded and technically better with improved build quality and improved dial legibility. This is literally a one-stop shop for everything concerning James Bond watches! I’ve been a Bond fan for years and I’m collecting all kinds of stuff related to the Bond franchise and I really appreciate that you have created this blog. Are these brand new watches or do they come from the used market? A very warm welcome William to swissdiverswatches.com. I’m delighted to hear that you like the blog. Yes, most watches sold by Amazon are in fact brand-new and all of them are either covered by Amazon’s 2-year warranty or by the manufacturer’s warranty. In most cases they are covered by Amazon’s warranty. Contact me if you need any advice or additional info. Alexander you saved my day! My husband collects Bond watches and I plan to surprise him with one for his upcoming birthday. After finding your wonderful website I don’t have to look any further for information. Thank you so much Alexander. You’re always welcome to pay a visit and contact me if you need any assistance in finding or choosing a watch for your husband. Thank you Alexander for creating this great blog. I like the way you have presented all the information and it makes it so easy to know what watches have been worn by who and in what movie and in what year. I’ll make my next purchase of my Bond watch right here for sure! Thank you Peter. I’ve tried to make the site and the blog as user friendly as I could. I’m glad you like the blog and you’re always welcome to pay a visit.